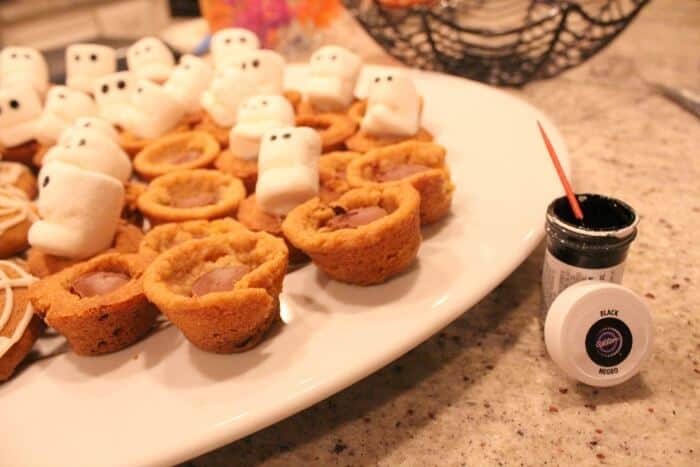 Today’s Recipe of the Week(ROW) are the absolutely adorable Marshmallow Ghost Cookie Cups showcased at our October Craft-vino Night. Aren’t they just so stinking cute? 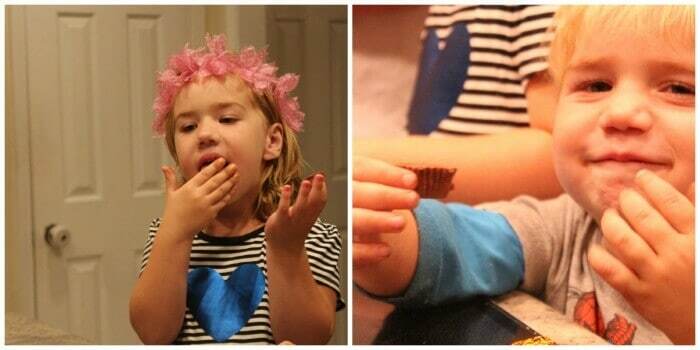 There are a number of different ways to make the cookie cup, but here is how we made ours. 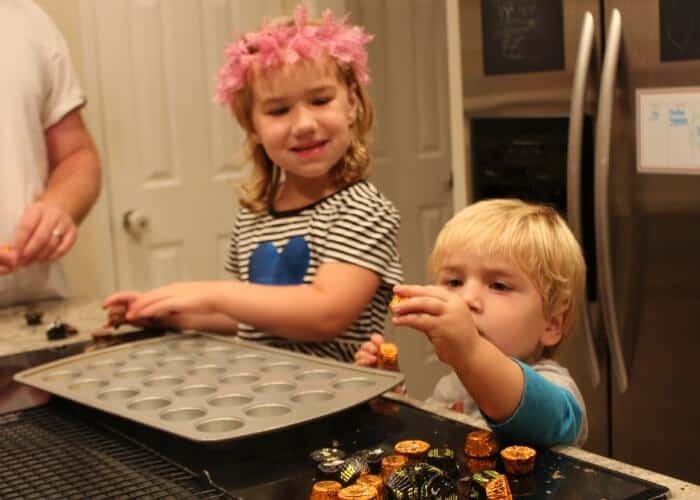 Grab the cutest helpers around to start to unwrap the peanut butter cups. Yes, a few might get eaten in the process. After they are unwrapped set them aside. 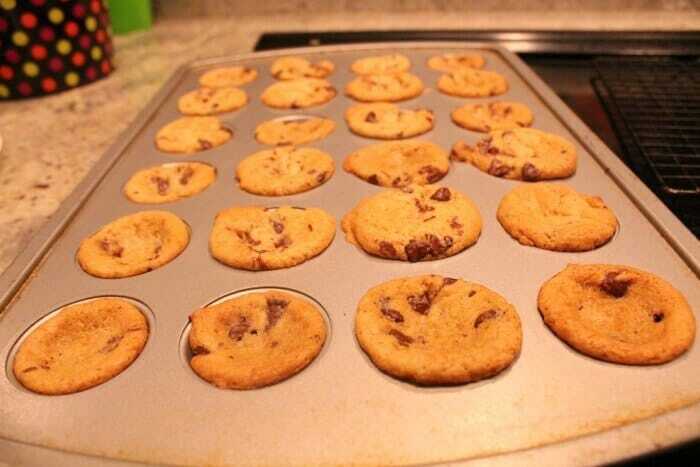 Using your favorite chocolate chip cookie recipe, whip up the batter. 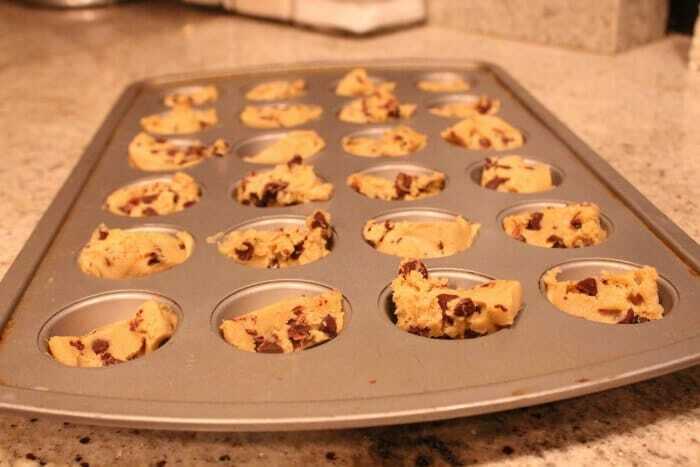 Using your mini-muffin tins, spray the bottoms and fill with the cookie dough. Cooking time is according to your recipe. 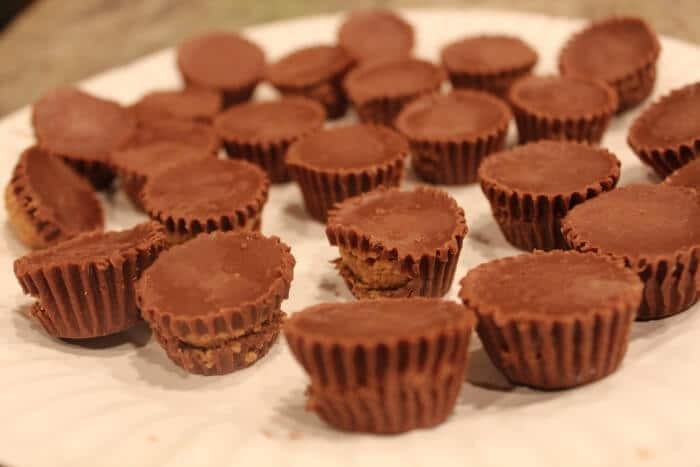 Once they are out of the oven, immediately place each of the peanut butte cups in the middle of the cookie and slightly press down. Let cool. 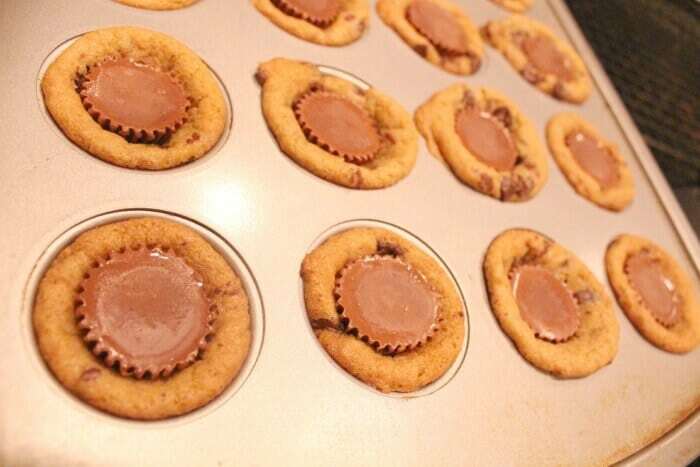 With the cookies still warm, the peanut butter cup starts to melt into the cookie making it delicious. Then you take your marshmallows and with a butter knife, cut a slit about two thirds down the marshmellow to make the mouth. Its good if the slit puckers a bit. 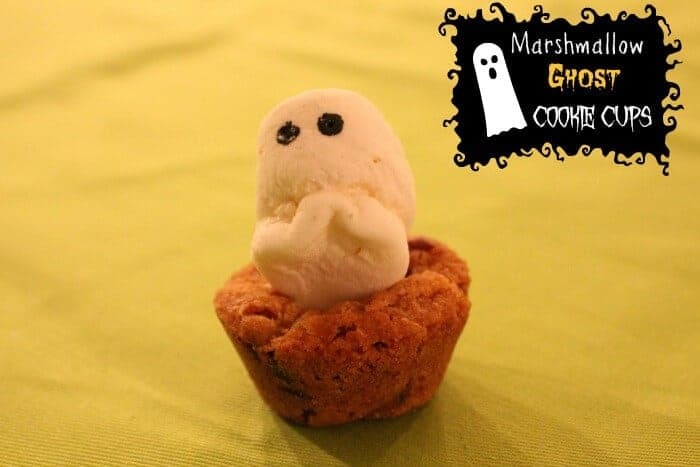 Gives your ghost a ghoulie look.